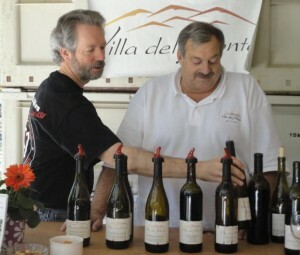 Thanks to everyone who visited us during Spring Fling at the winery. We will probably do it again next month. Stay tuned for details. If you didn’t get enough Villa del Monte wine over the weekend, you’ll be able to catch us on both sides of the hill this week. We will be in Aptos at Seascape Resort Wine Wednesdays on May 4. Join us from 5:30 to 7 pm in the restaurant atrium at Seascape Resort for a flight of wine, tapas, and live music for $10 per person. We will also be pouring at the Saratoga Chamber of Commerce Mixer on May 5, where you can celebrate Cinco de Mayo with a glass of your favorite Villa del Monte wine.